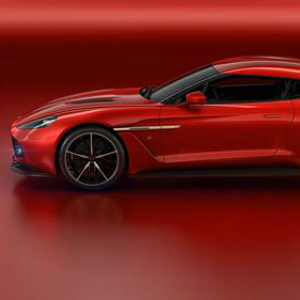 The Vanquish Zagato Concept was designed in close colaboration between the Aston Martin Design team led by Marek Reichman and Andrea Zagato and his dedicated design team in Milan. Developed and engineered at Aston Martin’s headquarters in Gaydon, England the concept features proportions that remain quintessentially Aston Martin and emphasises a dynamic, forward-looking stance. The new bodywork is entirely shaped from carbon fibre, with the split lines on the body reduced by the use of large one-piece panels. 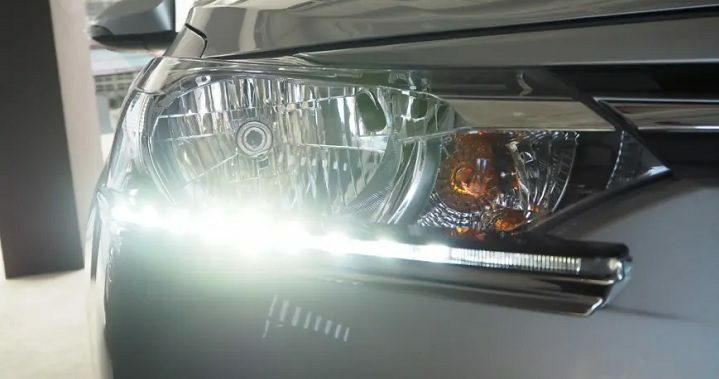 New lights include round tail light reflectors that evoke the classic rear view of a Zagato design, incorporating the same ‘bladed’ LED technology as the Aston Martin Vulcan track-only supercar. Referencing elements of the brand’s contemporary design language, Vanquish Zagato Concept features One-77 inspired wing mirrors and a sculptural rear end similar to DB11’s aerodynamic profile, complete with retractable spoiler and rear hatch for access to the luggage compartment. A quad-exhaust nestles in the rippling carbon fibre sills that run around the lower body, creating a pronounced line from front to rear.